Igniting the Core Flame: a day of Bellydance and Yoga. A day of exploring core connection through the magic of yoga and the mysteries of bellydance with Rachel Walker and Claire Mace. No prior experience required! This workshop takes places in Llanfachraeth, Anglesey. More here. Introduction to the Medicine Wheel. Suitable for beginners to shamanism. 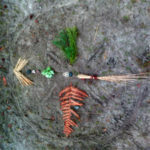 Explore the Medicine Wheel though ceremony, shamanic journey and process work at this two day workshop with Taïga Forest and Claire Mace in Llanfachraeth, Anglesey. More here. Poppy Perinatal Yoga Teacher Training. 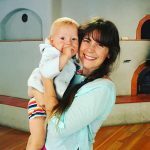 Ideal for yoga teachers, pregnant people or anyone who works to support people during and after pregnancy. Learn up to date information on how to plan and deliver safe pregnancy yoga sessions. 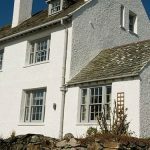 Residential training programme over 5 days and 4 nights at country house Yr Ocar in Snowdonia with Charlotte Speller. More here. Boundaries and Space: a Forrest Yoga retreat with Sandra Robinson and Claire Mace. Join Sandra and Claire for 4 days and 3 nights at Trigonos, deepening your understanding of yourself and your boundaries. Enjoy comfortable accommodation, inspiring food and stunning scenery. Booking is now open! More here. Inner Balance Yoga retreat with Claire Mace at South Stack. Perched on the side of Holyhead Mountain, this retreat takes place in a delightfully quirky, luxurious and warm country house. Features delicious food prepared by talented local vegetarian chefs. Do yoga, take walks and experience the power of the sea and mountains. More here.